I hope your Purim celebration is going well. I also trust those that came out to the community wide Purim celebration at the JCC this past Sunday also had a good time. We had many of our Men's Club members in attendance helping us man the kitchen during the event. Thank you to those of you that participated. Please join us this Sunday March 24th for our March Madness Watch Party (See Details Below). Also, we have postponed our Men's Club Poker Tournament on April 9th and have replaced it with a Whisky/Bourbon Tasting (More Details Below and Sign-up to follow in the coming days). Time: 12:00 Noon (Time is subject to change based on afternoon game schedule as its released - This will be updated). Food/Drinks: can be purchased individually, if so desired. Note: The first 10 guys to sign-up for this event, the Men's Club will buy you your first drink! Please join the Men's Club as we host our 2nd annual Whisky/Bourbon Tasting on Tuesday April 9th. 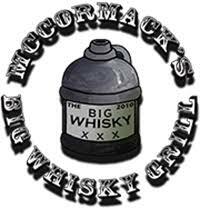 We will be provided a private room, tasting, and a Whisky/Bourbon education from Mac McCormick. The cost of this event will cover 3 Tastings. (Food items/drinks can be paid for individually the evening of the event). Cost and Sign-up genius information will be posted in the coming days. We will also have a dead-line to sign-up and reserve your spot for this event. Please Mark your calendars and watch your email for further event updates. Thank you.